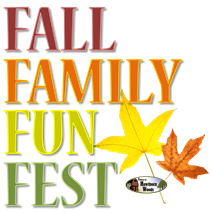 Let’s get ready for an enjoyable fall season at the 9th Annual Hawthorn Woods Fall Family Fun Fest. This FREE community event includes crafts, mini train rides, give-aways, and a variety of activities for children and families. Come touch a truck with vehicles available from the Hawthorn Woods Police Department and Public Works, Countryside Fire Department, Ela Township and more. All residents are invited to come say hello and meet staff from all Village departments including Police, Public Works, Finance and Community Development.